The first Cloudbook Windows 10 notebook will allegedly launch next month for a starting price of only $169 USD. Laptop prices have been going down for a while now, but seeing them cost as much as a low-end smartphone is quite a surprise to many. Earlier this week at the Worldwide Partner Conference in Orlando, Florida, Microsoft COO Kevin Turner unveiled a new low-end Windows 10-ready machine from Acer. This laptop will start at just $169 USD, the all-time low for Windows laptops. Unfortunately, the hardware details have not been disclosed yet. All we know for sure is that Acer will launch the 11.6-inch model next month for the price mentioned above and this notebook will also have a larger sibling. The larger Aspire One Cloudbook will have a 14-inch display, but its date of arrival and price are both unknown for now. 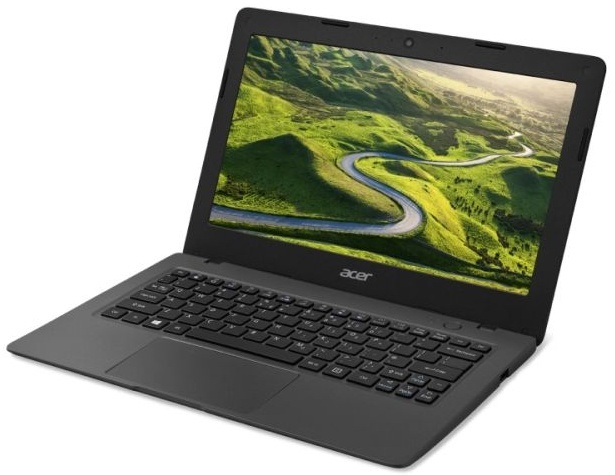 Since Google Chrome OS-powered laptops start at less than $150 USD, the upcoming Acer portable may offer an interesting alternative to Windows users on a very tight budget. There is no doubt that it will have a low-resolution display, a cheap dual-core processor and low amounts of memory and internal storage, but sacrifices must be made to offer such a low price. We will get back to the Acer Aspire One Cloudbook as soon as we hear more about it, so stay tuned.